Smartphone-toting history geeks like myself have probably noticed that apps for uploading geo-tagged historical photos to a map is a popular idea right now. History Pin, the Google-backed (s goog) non-profit, and What Was There both launched recently with similar ideas: Use the ubiquity of mobile devices to teach people about how the world around them looked in the past. Think of Rama as that, but with a curated historical narrative, and a revenue-making model. As cool as some of us might find seeing pictures on our smartphone of, say, what San Francisco City Hall looked like right after the 1906 earthquake when we’re standing right in front of the gleaming building in the city’s Civic Center, Michael Carroll decided it was much more useful to also explain all the related historical events and context of why, for instance, some buildings were damaged more than others, and why a massive fire broke out. So he went and built an app (that’s free in the iOS (s aapl) App Store) that has historical background info and photos on an interactive mobile map. They’re divided into tours (starting at 99 cents) that can be submitted by anyone, but fact-checked and edited by Rama. He also tries to keep the tours’ appeal broad, like “Artistic Paris of the 1900s,” which is a guide to hotspots and meaningful locations visited by the American expat community of the early 20th century — think Hemingway, Stein, Fitzgerald, Dos Passos, etc. 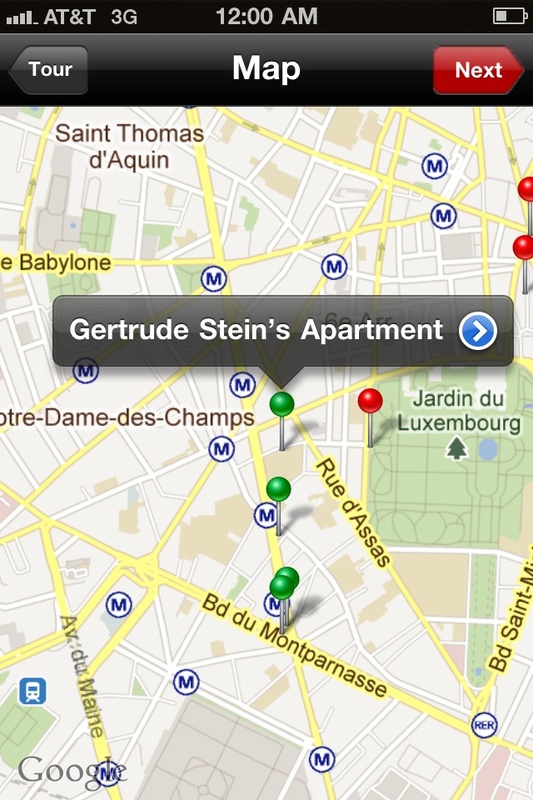 — around Paris, complete with geotagged photos and the stories behind them. There are also guides for major cities like New York City, Jerusalem, Philadelphia, Edinburgh, Rome, Athens, Cairo, London and more. They usually revolve around a theme: Revolutionary Cairo, Plague of London, 1930s Bangkok, Abe Lincoln’s Washington, D.C., Revolutionary Philadelphia, and so on. After Apple takes its share of the in-app purchases of tours through Rama, Brooklyn-based parent company Bamboo Crimson splits the revenues from the tours sold with their creators. Carroll has no plans to offer ads right now. It’s a pretty spare operation the company’s got going: Carroll is one of two founders behind Crimson Bamboo, and he and co-founder Ivy Wu bootstrapped the company. They outsource at least some of their development overseas and do the curating of tours themselves. 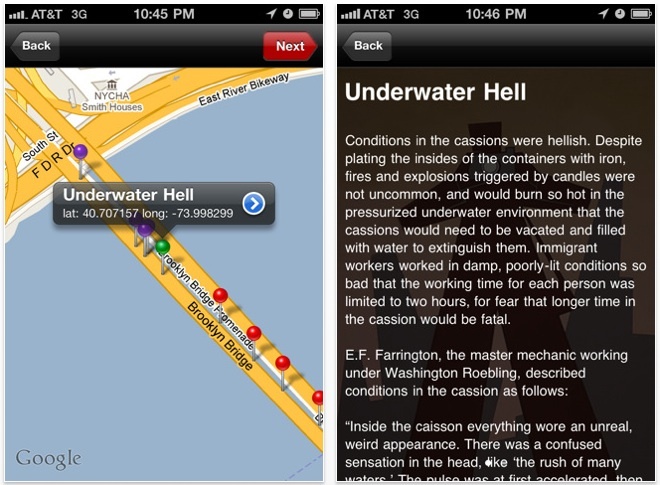 The app is iPhone-only for now, but they plan to offer an Android version sometime next year. Also soon to come is the ability to do offline tours when Wi-Fi or 3G is not available. I happen to love this idea because it’s cheap and is a great way of using widely available devices to teach people about the past. Plus, travelers can skip the tour bus/duckboat. Location-based content is such a sweet idea. The possibilities for both education and an understanding of place are intriguing. I like how this software market developet in the last few years. You have an app for everything.